Review: Does Michael Bay Manage To Make Up For Revenge of the Fallen With Transformers: Dark of the Moon? Harry Potter isn't the only saga getting it's big finale this summer, Michael Bay has finally released his highly anticipated final installment to his Transformers series. While Bay's Transformers: Revenge of the Fallen didn't exactly meet expectations, Bay promised that this time the Transformers would hit the big screen bigger and better than ever, and he was definitely telling the truth. Dark of the Moon begins with the tease we've been seeing in the trailers, and back tracks to 1969. We are brought back to the day when Apollo 11 was launched to the moon. The live television coverage of the landing is cut off, and Houston gives Neil Armstrong and his crew the green light on searching for what they really wanted, a crashed Autobot ship named the Ark. While Neil informs Houston of every thing he sees, the one thing he doesn't know is a previous Autobot leader named Sentinel Prime is still alive and locked up in the Ark guarding something sacred. Then we fastforward back to Sam Witwicky, and are given a quick recap of the many thing he's done since Revenge of the Fallen, and the absence of his previous girlfriend Mikeala Banes (Megan Fox). We are introduced to Sam's new love interest named Carly, and his new life in Chicago. While the Autobots are already working with the military unit NET, Sam's assistance is no longer needed, so now he basically has to live an ordinary life (With the exception of keeping Bumblebee), and like every other normal person in the US he has to get a job. But soon the Autobots and NET discover that there is still a major Decepticon threat at hand, and find out the truth about what Sentinel was guarding in the Ark, and revive him using the Matrix of Leadership (See Revenge of the Fallen). 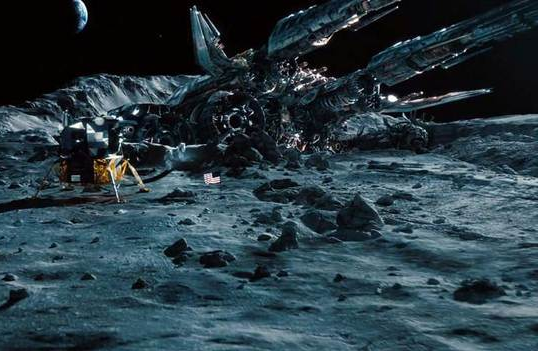 Optimus Prime and the Autobots venture to the moon to recover Sentinel for assistance against the new surviving Decepticons. But in the mean time, Megatron is still planning revenge on the Autobots, with his few supporters (Barricade, Soundwave, Laserbeak, and of course Starscream). Megatron sends Laserbeak to kill everyone involved in the American and Russian trips to the Ark. And by a twist of fate, one if those NASA employees is working at the exact same office as Sam. After Jerry Wang is able to give some information regarding the Ark to Sam, the entire office is attacked by Laserbeak when he realizes Sam is also in the building. Sam instantly looses his patience, and goes straight to NET to once again become involved with the Autobots. But soon Sam, Carly, Colonel William Lennox, Robert Epps, and Agent Simmons, all get reeled into what is the biggest Transformers war in the history of man kind. Transformers: Dark of the Moon is arguably the best of the series, and is by far the most exciting movie of the summer thus far. One of the main problems with the previous Transformers film was it's cluster of story and characters, who all felt forced in the film and weren't given the screen time they deserved. 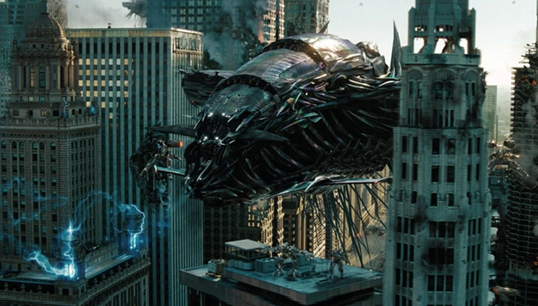 Many characters are introduced in Dark of the Moon, including Autobots Dino, Que, Sentinel Prime, and the Wreckers, and Decepticons Shockwave, Laserbeak, and the Dreeds. This time around, practically every character introduced (And even some who weren't well established in the second film such as Barricade, Soundwave, and Sideswipe), are given great importance and screen time, and are redeemed from their not-so-faithful adaptions in the past. Sentinel Prime is a fantastic addition to the series, and was the perfect character to bring in for the finale. Leonard Nemoy does an excellent job bringing Sentinel to life, and surprisingly manages to pull off a voice with more wisdom than Peter Cullen's Optimus Prime. 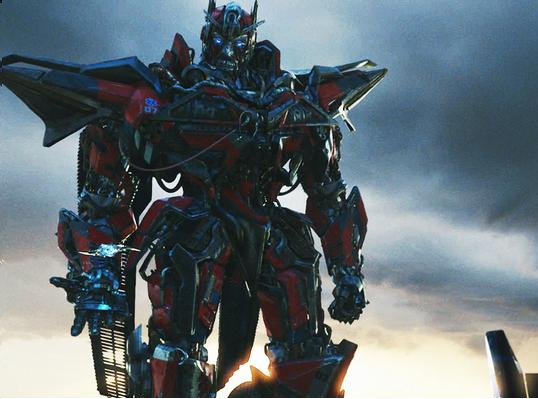 Speaking of Optimus, he doesn't really have a large part in the film, but then again really none of the other Autobots have a large part in the film until the final battle, which is understandable because the Decepticons were really the main focus in the film, and for the first time there are also human antagonists to focus on. The human side of the story was also pretty entertaining in the film, but the humor was definitely a major downgrade from the previous films. 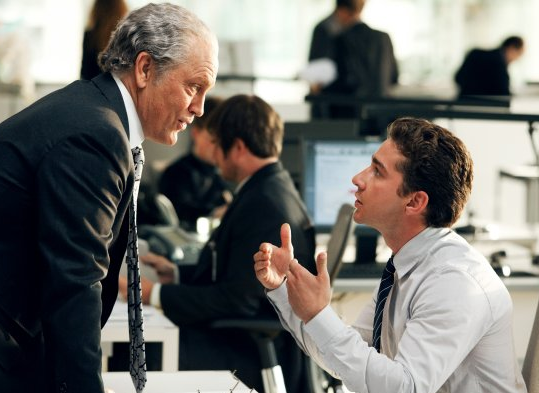 John Malkovich is probably the most comedic part of the film (That actually succeeds at being humorous), playing Sam's new boss. 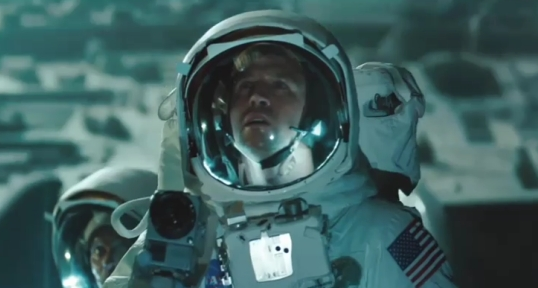 The Hangover's Ken Jeong is forced into the film as a former member of NASA, but really isn't funny at all, and is unnecessary to the plot. Alan Tudyk is also brought in for comedic purposes as Agent Simmons assistant, but also only gets a moment or two of actual laughter from the audience. And of course, what's a Transformers movie without Sam's parents, and Agent Simmons's who all have much less screen time then they did in the past films, and supply much comedic relief. As for Rosie Huntington Whiteley, she's a reasonable replacement for Megan Fox, but doesn't really do much more than just run around and scream during the final battle. She isn't as annoying as Fox was starting get in the second film, but really fit right in to the movie. I still found it hard to believe that Sam would just suddenly fall in love with her, because he said the same thing about Mikeala, and look what happened there. Fox is written out of the movie very unrealistically, but it's obvious Bay really didn't want to waste time explaining the situation, and I can't blame him. Patrick Dempsey was surprisingly excellent as Carly's boss Dylan Gould, and his character's twist blew me away. He really stole the show in most human scenes, and was a very well written character. Shia LaBeouf was definitely at his best here, giving off a lot of emotion, and less pointless screaming (Which he still did, only less). He's actually pretty hilarious this time around, acting a bit paranoid and short tempered, while still being the same awkward nerd we were introduced to in the first movie. 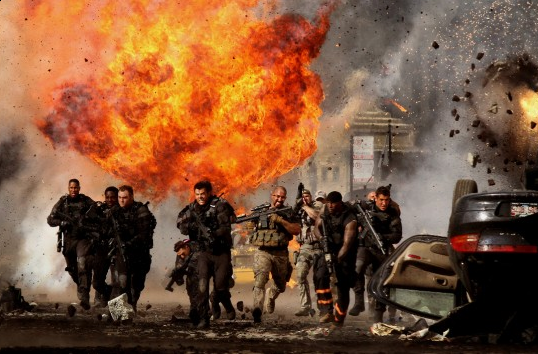 Josh Duhamel and Tyrese Gibson still do pretty good jobs returning as Robert Epps and William Lennox, bringing much more emotion and excitement to the final war. Frances McDormand as Charlotte Mearing is a very interesting character to bring into the mix, playing a self centered CIA director who really pushes Sam's patience. And John Turturro is always fun to see as Agent Simmons, and he definitely brings in some humor, but also has some pretty big scenes in the film. One thing that really makes Dark of the Moon stand out from the rest of the Transformers films, is it's plot twists. Dark of the Moon is one of the most surprising films of the summer, with characters who seemed completely harmless, or working with NET and the Autobots, actually having a complex background and completely turning in them. It definitely made the movie much more exciting, and interesting then any of the previous films. The entire plot of the film really is pretty impressive, and while it still has the same generic formula from the previous films (They have something we want, we need to get it), the many twists, and and ties to actual history really make it all the more fascinating. But the most amazing moments of Dark of the Moon (Or any Michael Bay film at that), are the action scenes, particularly the final half of the movie. While we all expected Bay to impress with the action in the film, he really went over the top this time, and literally focused half of the movie on an all out war in Chicago. While this might seem very satisfying for action junkies, it really takes a while to get there. Still Bay manages to give off a little action in the very beginning of the film, giving us a pretty cool and amazing glimpse at the war of Cybertron, and a couple of small action scenes in between. Dark of the Moon also is one of the few films to have spectacular 3D, especially in the last battle in Chicago. It really helps you really feel like a part of the action, and it's actually worth the cost. Transformers: Dark of the Moon still might not be an Oscar winning narrative, but it definitely manages to make up for the many flaws and plot holes of Revenge of the Fallen. It really brought in a lot of emotion and action, and a pretty fascinating story line, which all make Dark of the Moon stand out from the rest of the series. 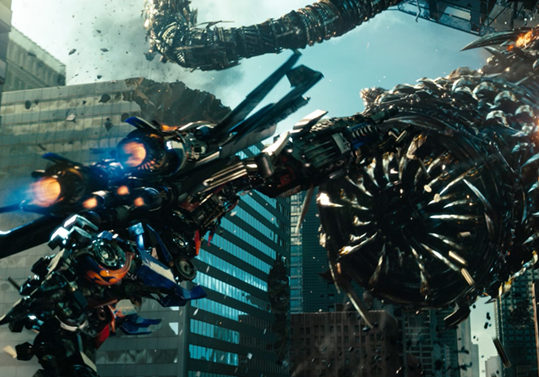 If you're really in the mood for a jaw dropping 3D blockbuster, than Transformers: Dark of the Moon is for you. 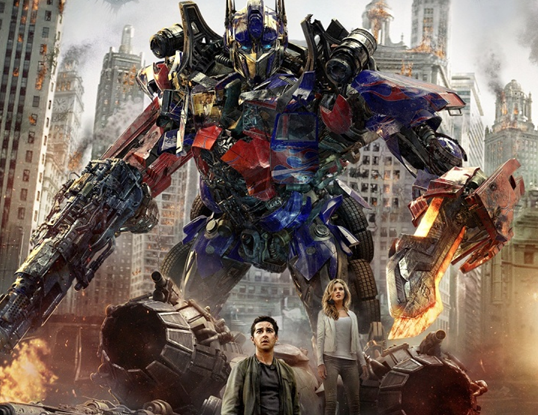 What did you think of Transformer: Dark of the Moon? Are you going to see it?